It can be challenging staying surf-fit through the dry spells with our busy working schedules. Too many things can get in the way and many of us don’t want to sweat it out for an hour a day at the gym, even if we do have the time. Almost like the Swiss army knife of surfing app, it has a whole range of features that can be useful for both beginners and professional surfers competing in any surfing event. 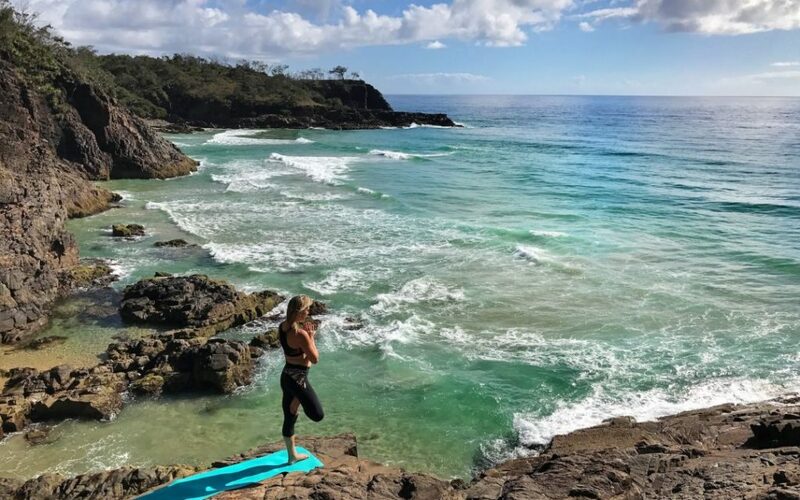 The Laguna Real Estate Noosa Festival of Surfing has partnered with Luxe Escapes Noosa and Wanderlust to remedy this quandary with Wellness Wednesday, a day of activities, workshops, demos and talks to help us keep fit and stay healthy, always ready for the next swell to roll through. 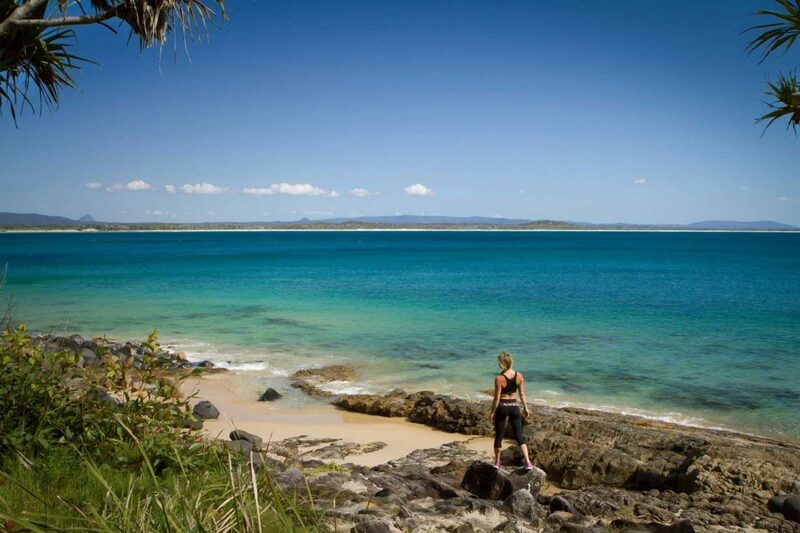 Luxe Escapes Noosa’s Kelly Carthy is all about wellbeing. Her luxury retreats focus on taking time out for ourselves, for a week, a couple of days or even just for an hour. It can be quick and easy to stay in shape, but the majority of us either don’t know how or feel guilty and selfish taking time out for ourselves, even to go surfing. Wellbeing in every aspect will be brought to the Nine Sunshine Coast Pavilion on Wednesday, 8 March for Wellness Wednesday, and Kelly joined with the team at Wanderlust to organise a diverse collection of activities for all. The Nine Sunshine Coast Pavilion will host a 90-minute morning yoga session presented by Wanderlust to kick off the day at 9am, helping ready surfers for a big day of competition, but also open to the general public to enjoy a dawn stretch. The Wanderlust Yoga Session will feature an expert teacher with ambient DJ, bringing rhythm and yoga together for a wonderfully energising way to start your day, whatever you may have planned. Nutrition is the foundation of our fitness, and Kelly has created a workshop to help better understand the need for positive nutrition and the ways in which to achieve it, with food creation demonstrations and more. From there, the day takes a more physical turn, with a Pilates class focusing on the core strength so necessary for efficient surfing and to better protect our bodies, both in the water and through the rigours of daily life. A high-intensity training class will also be on offer, focusing more on direct fitness and strength, but carefully created to be accessible to all. Each of these fitness elements intentionally require no equipment and the classes are designed to be educational, providing knowledge and awareness that can be taken from the classes on the sand at First Point and implemented into our own lives. Whether you are competing, spectating or simply in town for the week, everyone is welcome to Wellness Wednesday – the perfect place to reignite those New Year’s Resolutions and to learn how to simply and easily bring health and wellbeing into your life a little more. Wellness Wednesday takes place from 7am, Wednesday 8th March at the Nine Sunshine Coast Pavilion, First Point, Noosa Heads. For a full schedule and to find out more, visit www.noosafestivalofsurfing.com. For more information about Kelly Carthy, her retreats and her wellness programs, visit www.luxeescapesnoosa.com.au and www.kellycarthywellbeing.com.au.